Here are some things you may not know about me! 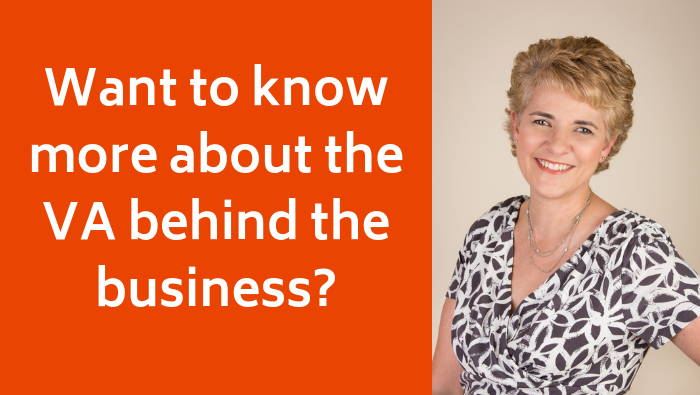 It sounds like ages ago now, but back in 2012, I wrote a blog post to introduce myself, the virtual assistant behind Interim Business Solutions, to my new clients and followers. I had gone through a business growth spurt and knowing that we’re all humans, I felt it was a good idea to reveal my human side. Six years have since past. And as we all know, so much can change in six years. I’ve had a few more grey hairs popping out for starters! My kids have both left school leaving me with more time to focus on my business (and travel of course). And my networks have continued to grow. As a result, I thought it was time to re-introduce myself to you all. Even if you’ve known me longer than six years, here are some fun facts you may not know. I’m 50 something (in the lower end), and I’m happily married with two children, one adult and one almost adult. I live in the leafy outer eastern suburbs of Melbourne, Australia. Interim Business Solutions turns (lucky) 13 on the 24th of November. I run my business from home, and although I once hated my home office, I now love it. Read why! I love to get out into my garden when I find the time. At the minute, I’m passing weeds off as plants! I’ve grown up surrounded by pets including a Scotch Collie dog, chickens, a duck, budgies and horses. Now I only have a grumpy old cat (who I adore). I hate cooking and housework (but luckily my son is amazing in the kitchen). I can’t explain why (as I seriously don’t know), but my nickname was Ollie during my University days. When I was younger, I wanted to be a park ranger or a mounted policewoman – but I became a primary school teacher instead (all far from what I do now). I had the best time studying at Deakin University in Geelong, where I gained a BA in Education. I’ve also gained a Graduate Diploma in Educational Administration from Melbourne University. Despite what you may think, I’m not a geek! Computer hardware scares me! After Uni, I lived overseas for 2 ½ years and travelled through Europe, Scandinavia, North Africa and the Middle East. This time overseas cemented my love for travelling, and I get the travel bug every year (often being called to exotic destinations). I’ve travelled to more than 35 countries, but there’s still so many more to explore. I’m itching to return to Spain, Portugal and Italy, and visit Myanmar before it becomes the next big tourist destination. I haven’t eaten red meat since 1984, but I’m a sucker for Japanese and a good salad. My favourite wine is a full-bodied, oaky Chardonnay and I love Friday nights (which always include a drop or two of wine!). I was an athletic child – I ran everywhere, rode horses, played tennis, softball, badminton, cricket, and I could kick a footy better than most of the boys. Now I’m a power-waddler. I’m a country bumpkin at heart and not a city slicker. I can’t handle noisy crowds. Some of my favourite movies include Baraka, the Bourne trilogy, The Last of the Mohicans, The Piano, Mongol, Picnic at Hanging Rock, The Help, Hidden Figures and Hunt for the Wilderpeople – I could keep going! I have built my business successfully using social media – mainly Twitter. People I would love to meet and chat to over a meal (or wine) include Barak Obama, Simon Sinek, Susan Cain, Loreena McKennitt and Denzel Washington. I’ve reached a point in my business life that I know I’m not the cheapest. And that’s fine – I’m not in business to be the cheapest and get the most clients. I’m in business to offer my experience, skills and expertise to my clients. I have built a team around me who have the same values and who are highly skilled in their area of expertise. Together, we provide our clients with exceptional customer service, reliability and integrity. I love the work I do and the people I get to work with. If you’re one of them, thank you! Feel free to share a fact about yourself that we may not have known! Regards and keep that wolf whistle happening!